With the arrival of fresh marketing techniques (specifically social media), it appears fairly obvious that Real Estate professionals as a whole should immerse the life skills they were taught as children. Some of these skills were the building blocks of communication. 1. Integrity- Remain genuine. Be the same person you are online that you are offline. Replace selling what you do with sharing who you are and your daily experiences. When choosing an avatar or profile photo, be a ‘person’, not a ‘real estate logo’. Individuals connect with other individuals, not signs and buildings. 2. 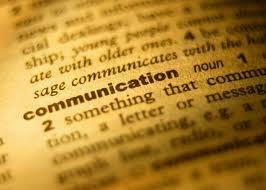 Active Listening– It is elemental to reveal your interests, it’s even more significant to pay attention to others. Gaining knowledge in what your network is passionate about will assist you to ask better questions, offer better resources, and grow to be a better advisor. Who’s Talkin? and SocialMention are 2 social search engines that make it simple to monitor certain people and topics you care about. 3. Effort- Recognize resources that may be beneficial to improving your day to day work. If you’re uncertain where to look for great resources, try a social bookmarking tool such as Delicious or Digg where others contribute their favorite articles. Monitor your own resources and share them frequently, providing your own approach and strategies for implementation. 4. Respect- Give and you shall receive! Respect others, even “the competition”. When trying to connect with new people on social networks like Facebook or Linkedin, convey a brief yet genuine message explaining why you’d like to connect or how you know them. Don’t inundate people with spam or sales messages. 5. Courage- Try something you’ve never done before! Have you ever created a video? Give it a try! Everything is a learning process, even failed attempts can be a great lesson learned. One last reminder….measure what you make! Examining what your clients ‘do’ or ‘don’t react to’ can offer you with insight as to what kind of content or resources your network finds beneficial. In doing so, you have the ability to reach more individuals and keep the conversation flowing.